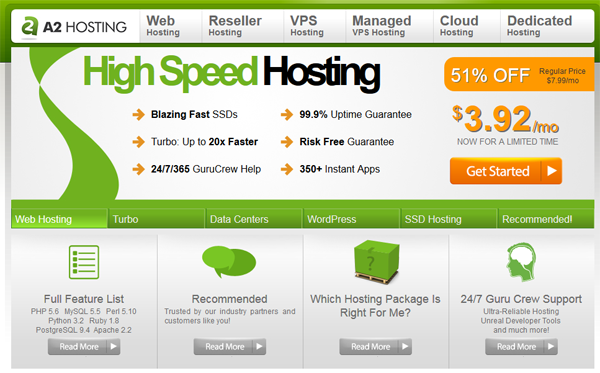 Fast web hosting and optimized WordPress hosting are the major focus of A2 Hosting. Some of the features you can get with A2 Hosting include turbo servers, enhanced speed and security for WordPress sites, and CloudFlare CDN. And, A2 Hosting has data centers in the U.S., Europe, and Asia. A2 Hosting may not be one of the more well-known hosting companies, but for me they are one of the best. Their focus on high speed and optimized WordPress hosting are definite advantages.